Our experienced plastic surgeon, Dr. Richard Zeff, offers a variety of non-surgical, in-office skin rejuvenation procedures designed to give your skin a firmer, smoother, and more youthful appearance. With advanced skin tightening options and chemical peels, we can improve the clarity, tone, color, and texture of your skin with little to no recovery time required. Our physician and skilled aesthetician are committed to providing our patients with the best possible treatments that have proven to give the skin a healthier, more beautiful glow. 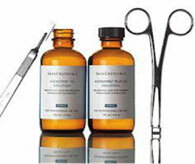 We offer a comprehensive, customizable array of medically exclusive SkinCeuticals epidermal peel procedures from mild (minimal to no visible peeling) to strong (3 or more days of post procedure peeling), to improve the appearance of all skin types by strengthening skin structure, reducing pigmentation, smoothing skin texture, and diminishing breakouts and clogged pores. With a full range of highly-concentrated peels your skincare professional will take the time to consult with you and customize each treatment based on your questions, concerns and specific needs. These safe, painless, no downtime peels can include physical dermaplaning to remove the micro thin layer of dead skin and soft hair. Enzymatic exfoliation for increased stimulation and exfoliation can also be added to a Medical Facial Treatment. Developed for most skin types and conditions these treatments remove the dull obstructive skin cells, allowing your skin to reflect light and your skin care products to penetrate more effectively. No social downtime, no pain…all gain!! This enhanced restorative peel will deliver a refined, radiant glow by diminishing the signs of aging, reducing fine to moderate lines and hyperpigmentation. We recommend a series of 3 to achieve maximum results. To make this treatment even more luxurious and appealing add-on a dermaplaning treatment or include it in a Medical Facial. You won’t believe your skin!! This clinical-grade peel is medically exclusive for the treatment of mild to moderate signs of aging, stubborn discoloration, and uneven tone and texture. It will help refine texture, diminish dullness and pore size, decrease the appearance of fine to moderate lines and wrinkles as well as aggressively correct discoloration associated with sun-damage, hormones and aging. This treatment includes the Celluma LED light therapy for increased anti-aging and healing benefits. If you like to peel then you’ll love this treatment! Expect mild peeling for up to a week. 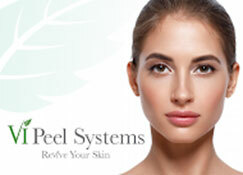 The VI Peel represents the next generation in chemical peels. Each treatment is virtually pain free with results in as little as seven days. Unique from other peels, the VI Peel nurtures the skin with vitamins and minerals during the exfoliation process. Suitable for various skin types, including darker skin tones. We offer specifically designed treatments that are convenient and targeted to address: anti-aging, hyperpigmentation sun-spots, damaged skin, acne prone skin and acne scarring. The VI Peel includes a take home kit of essential products for your treatments success. ENJOY feeling more confident in your SKIN! Dermaplaning is a pain free method of exfoliation that consists of using a 10 gauge scalpel to gently scrape off the top layer of dulling dead skin cells and superfluous hair in order to reveal a smoother, brighter, clearer complexion. Following the Dermaplaning process your skincare professional will choose the proper serums to infuse before applying a hydrating, soothing, calming facial mask. This treatment can be done in conjunction of most Peels and Custom Facial Treatments as well. The Celluma is one of our favorite add-ons to most of the treatments we offer. Giving the added benefit of treating such conditions as acne, rosacea, wrinkles and dullness through LED light technology. It treats these conditions by decreasing inflammation and increasing micro-circulation and collagen production. Celluma delivers powerful yet gentle TLC for your damaged skin, targeting it’s healing energy through the deepest tissues of the skin to restore your skin’s healthy, youthful glow. Your Custom Medical Facial is specifically formulated for each individual based on the skin type, conditions and desire of the patient. Using state of the art medical grade products your treatment also includes exfoliation, steam, extractions, Lymphatic Drainage massage techniques to improve circulation and skin tone. This relaxing treatment will leave you feeling rejuvenated, hydrated, exfoliated and invigorated! Add a Dermaplane (exfoliating, hair removal treatment) to your already fabulous facial treatment! Get ready for an unbelievably smooth, flawless, retexturing result. Achieve additional, deeper exfoliating results when you add a MicroPeel to your Custom Medical Facial Treatment. This treatment is a wonderful way to eliminate impurities deep within the dermis while experiencing topical clarification and hydration. This all-encompassing medical grade facial treatment will target surface skin cells as well as deeper within the dermis resulting in a clarifying, tighter, brighter, smoother, nourished and rejuvenated lift. It honestly doesn’t get much better this! If you would like more information on skin rejuvenation procedures, or if you would like to schedule a consultation, please contact us today.